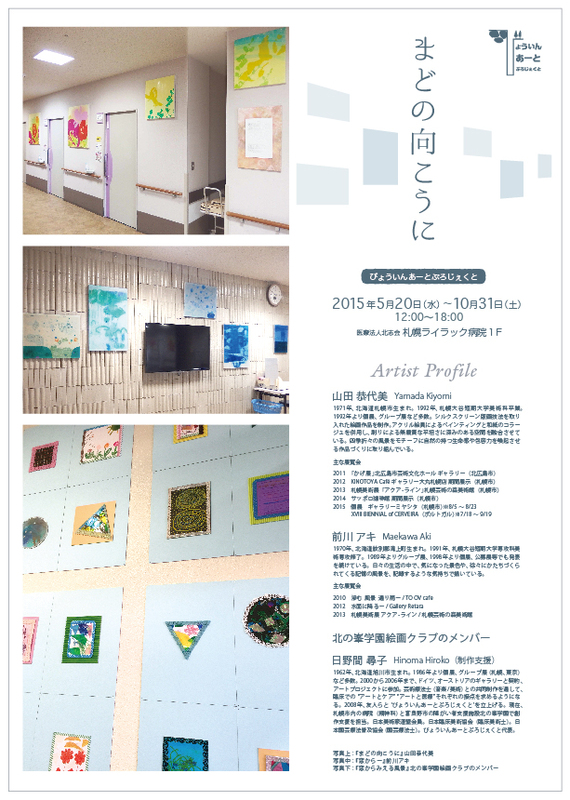 The Hospital Art Project > No.9 "Mado no mukou ni - through the window"
Exhibition : Yamada Kiyomi, Maekawa Aki, Kitanomine gakuen painting club and Hinoma Hiroko as attender of this club's works. "Mado no mukou ni - through the window" Leaflet 1 (PDF/2.2MB) *only available in Japanese. 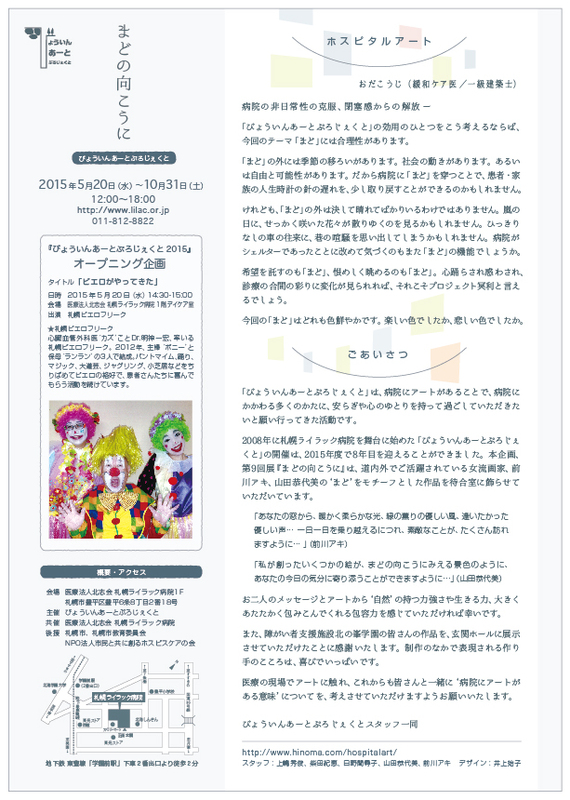 "Mado no mukou ni - through the window" Leaflet 2 (PDF/670KB) *only available in Japanese.